"Stronger" is a song by American rapper Kanye West, released as the second single from his third studio album, Graduation (2007). The production was handled by West, with an extended outro co-produced with Mike Dean. The composition is electronic in nature, employing synthesizers as its prominent instrument. For the track, West utilizes a vocal sample of "Harder, Better, Faster, Stronger" by French house duo Daft Punk. On "Stronger", West speaks about the resolve that comes when one is faced with adversity, with lyrics at the song's refrain that paraphrase Friedrich Nietzsche's dictum "What does not kill me makes me stronger". West also describes "Stronger" as an "emancipation", using the track to vent his frustration over mistakes he made in the past year. The song's production process was arduous, with West and his team mixing the track reportedly over 75 times, including after its release as a single. Although he worked with eight different audio engineers and eleven different mix engineers around the world for the track, West still felt dissatisfied with the results and decided to enlist the aid of record producer Timbaland in redoing its drum programming prior to the release of Graduation. West felt "Stronger" paled in comparison to the sampled original, but Daft Punk were delighted by the song, leading to future collaborations. The single's music video was directed by Hype Williams, features sci-fi imagery based on the 1988 anime film Akira, and was shot largely in Tokyo, Japan. Kanye West's use of shutter shades in the music video became a signature of his in the mid-late 2000s. Released as a single on July 31, 2007, "Stronger" would top the Billboard Hot 100 several weeks later, becoming West's third number-one single. It was a top ten single in ten countries, topping the charts in four of them, including the United Kingdom. The song was praised by music critics. It managed to win a Grammy Award for Best Rap Solo Performance at the 50th Grammy Awards, and was named as one of the best songs of the year by Rolling Stone and Spin. The song's popularity has been accredited to not only encouraging other hip-hop artists to incorporate house and electronica elements into their music, but also for playing a part in the revival of disco and electro-infused music in the ensuing years. "Stronger" has since sold five million copies in the United States, and has been certified octuple Platinum by the RIAA. West's perfectionist approach led to "Stronger" being mixed 75 times. His further work on the song's music video included ten weeks of editing. Prior to release, a portion of "Stronger" was first released in May 2007 on West's Can't Tell Me Nothing mixtape. On June 27, 2007, "Stronger" was put onto the BBC Radio 1 Up-Front playlist and was later upgraded to the A-List a month prior to its release. The single's front cover art was released on West's website on June 28, 2007. It was designed by Japanese artist Takashi Murakami, whom Kanye West collaborated with to produce the artwork for Graduation. The cover artwork features a cartoon version of West's mascot "Dropout Bear" wearing sunglasses similar to those West wears in the music video, as well as the small, trademark robot helmets of the Daft Punk duo Thomas Bangalter and Guy-Manuel de Homem-Christo. "Stronger" musically derives from a vocal sample of "Harder, Better, Faster, Stronger" (2001) by French house duo Daft Punk. The use of the vocal sample was requested through Pedro Winter, Daft Punk's manager at the time. The sample was approved by the duo, who deeply enjoyed the track. West later met Thomas Bangalter and Guy-Manuel de Homem-Christo at Lollapalooza. The recording sessions for "Stronger" was a turning point in the production process for West's third studio album Graduation, whereas West had been "aimlessly making songs" prior to this. The record began to take definite shape and form upon the creation of the track, which West released as the third album's second single, as well as around the filming of its accompanying music video, which was directed by music video director Hype Williams. The sci-fi imagery of the video inspired West to take his music in a more futuristic direction. 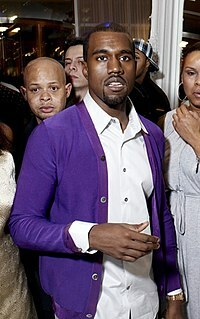 On July 3, 2007, West told Zane Lowe on BBC Radio 1 that although he believes "Stronger" is a great song, it does not compare to the sampled original. When asked about their take on hip-hop music and how rappers like West are suddenly fascinated their music, Bangalter replied that, "Hip-hop has always been exciting and interesting to us." Daft Punk went on to say that they were very delighted with how West's single turned out to be. The two had first heard the new song on Power 106 while on a San Francisco flight. As de Homem-Christo stated, "Our song had a good sound, but when [the radio DJ] put Kanye's record on, the sound was really fat. It sounds really big." De Homem-Christo also clarified, "It's not a collaboration in the studio, but the vibe of the music we do separately connected in what [West] did with the song." "Stronger" was recorded in three different recording studios worldwide, including Ape Sounds in Tokyo, Sony Music Studios in New York City, and The Record Plant in Los Angeles. The track utilizes a vocal sample of "Harder, Better, Faster, Stronger" (2001) by French house duo Daft Punk, which itself features a re-worked instrumental of "Cola Bottle Baby" (1979), a song by the funk keyboardist Edwin Birdsong. Daft Punk had added "a melodic chorus with a descending chord sequence," which was the basis for West's sample. West subsequently "slowed down and loosened the rhythm, and overdubbed pulsating synths, evocative rapping and singing." After the filming of the single's music video, which began before he had even written its second verse, West returned to the studio to redo parts of "Stronger" and various other tracks he recorded for the album, watching films such as Total Recall for more ideas. West worked on "Stronger" with eight different audio engineers and eleven different mix engineers around the world and recorded over fifty versions of the track. The final version of the song is credited to Manny Marroquin, a producer who mixed West's debut album, The College Dropout (2004). West and Marroquin first worked on the song together for fourteen hours at Lazrrabee North Studios in Los Angeles, followed by four three-hour sessions at Battery Studios in New York. Much of the song's keyboards and electric guitar accompaniment were added in New York by Mike Dean and Lamar "Mars" Edwards. West's sampling of Daft Punk had left many glitches within the clip, which Marroquin corrected by lowering the volume for several milliseconds on each. In crafting the song's distinctive four-to-the-floor rhythm, West and Marroquin employed multi–band compression and extreme EQ. This was primarily to ensure that the single would play well in club atmospheres. West mixed "Stronger" seventy-five times, as he could not seem to get the kick drum to sound precisely the way that he wanted it to, amongst other issues. Still feeling dissatisfied after hearing number-one hit single inside a club played alongside Timbaland's 2007 single "The Way I Are", which at that time was his favorite hip-hop beat, West decided to enlist the record producer to assist him in redoing the song's drum programming. In the end, Manny Marroquin and Kanye West auditioned twelve different kick drums, going back to the original — which is a mix of three kick drums — shortly before completing the track. The song's final arrangement in Pro Tools included over 100 layers. This completed version of "Stronger" contains a master use of Edwin Birdsong's "Cola Bottle Baby." The lyrics of the song's refrain paraphrase Friedrich Nietzsche's famous quote: "...what does not kill me makes me stronger." "Stronger" is a hip-hop song that lasts for a duration of five minutes and eleven seconds (5:11). The composition incorporates elements from a range of electronic music genres, including house, electro, techno and electronica. According to the sheet music published at Musicnotes.com by Universal Music Publishing Group, "Stronger" is composed in the key of E-flat minor (E♭m) and set in the time signature of common time, with a moderate tempo of 104 beats per minute. The song follows a basic sequence of E♭m–D♭–A♭m7–C♭–B♭ as its chord progression. The stark musical composition is electronic in nature, employing distorted, layered synthesizers as its prominent instrument. The production of the track revolves around a vocoder-affected vocal sample of "Harder, Better, Faster, Stronger" by the French house duo Daft Punk. As one of the most musically complex arrangements on Graduation, West experiments with an elliptic song structure that makes extensive use of descending synth-bass and alternating backbeats. The song starts with its refrain, where the cut-up sample of Daft Punk's robotic vocals can be heard at a decreased tempo. Following its introduction, West raps the refrain as the vocal sample is played continuously in the background. During the refrain, the track maintains a distinctive four-to-the-floor rhythmic pattern which takes cues from house-music. For the verses, West switches to a syncopated hip-hop beat; propulsive programmed drums replete with rumbling kick drums that stomps over the layered synths. He integrates additional vocal hooks into the song's bridge while also adjusting its refrain and at one interval includes an ad libitum. At its close, the track enters a flanging extended outro that contains a synth-heavy breakdown. It comes complete with abrasive keyboard stabs, operatic harmonies and somber electric guitars which chime in unison. "Stronger" demonstrates an influence of house music and electro, evident in its four-on-the-floor rhythm and distorted, layered electronic synths. The track is built around a Daft Punk vocal sample over alternating backbeats and also showcases a blending of infectious hooks and West's forceful delivery. For the track, West ulitises an evocative rapping technique atop a thumping beat. Within two verses, he delivers his defiant lyrics at loud volume with fragmented, forceful flow that makes use of rests as the song builds into a bombastic crescendo. With a simplified, halting vocal delivery, West manipulates his articulation to match the melodies of the musical composition. An inspirational aspect can be found within "Stronger," where West speaks about the resolve that comes when one is faced with adversity, with defiant lyrics at the song's refrain that paraphrase Friedrich Nietzsche's famous dictum: "What does not kill him, makes him stronger." Regarding the lyrical content, West describes the abrasive track as an "emancipation," as he uses the first verse to vent his pent-up frustration over mistakes that he had made in the past year. In addition, West views the single as a return with the help from his fans, hence the "I need you right now" lyric which serves as a hook that follows the refrain. As he told an interviewer for The Guardian, "It's also a message from me to my fans that I'm coming back] after a time away and I need you right now, to help me come back." West performing "Stronger" in his hometown Chicago on March 24, 2008 during the Glow in the Dark Tour. West performed a partial version of "Stronger" live at the Concert for Diana held at Wembley Stadium on July 1, 2007 to a crowd of 63,000 people. An estimated 500 million people watched the event in over 140 countries worldwide. Daft Punk made a surprise appearance at the 50th Grammy Awards on February 10, 2008 to join West in performing a reworked version of the song on stage at the Staples Center in Los Angeles. A press release specified that this was the very first televised live performance by Daft Punk in their career. In an interview, de Homem-Christo specified that the live performance of "Stronger" at the 50th Grammy Awards was "truly a collaboration from the start. We really did it all hand in hand." During his live performance at Coachella in 2011, West performed a version with altered lyrics in the second verse of the track to insult his ex-girlfriend Amber Rose. Following on from this, it was rumoured that there was a confrontation between West and Amber's then-boyfriend Wiz Khalifa, which Khalifa dismissed as being untrue. In 2010, Vincent Peters sued West, arguing "Stronger" is an illegitimate copy of a song he recorded in 2006. Peters claimed that he handed a copy of his track to John Monopoly, West's business manager, who according to Peters, gave the song to West. Both songs share the title, make reference to model Kate Moss, and feature chorus lyrics that rhyme "wronger" and "longer". A federal judge dismissed the claim, finding no substantial similarity, but Peters went to the 7th Circuit Court of Appeals. West's lawyers claim both derive their respective chorus lyrics from Friedrich Nietzsche's famous dictum, "What does not kill him, makes him stronger." In 2012, the 7th Circuit Court of Appeals ruled in West's favor, ordering the lawsuit dismissed. Diane Wood, the presiding judge, noted that Nietzsche's dictim had been employed in popular works for decades, including Kelly Clarkson's "Stronger (What Doesn't Kill You)", a hit single at the time. The Hollywood Reporter quoted the ruling: "Although the fact that both songs quote from a 19th century German philosopher might, at first blush, seem to be an unusual coincidence, West correctly notes that the aphorism has been repeatedly invoked in song lyrics over the past century." "Stronger" entered the Billboard Hot 100 on the charting week of August 11, 2007 at number forty-seven, the highest debut single on the chart that week. Over the next eight weeks, the song steadily climbed upwards, eventually reaching the number one position on the charting week of September 29, 2007, pushing the previous week's chart topper, Soulja Boy Tell 'Em's "Crank That (Soulja Boy)" into the number two position. However, the following week, "Crank That (Soulja Boy)" replaced "Stronger" atop the charts, making West's single reach its peak for only one week. It is West's third number-one single in the United States, following on from "Slow Jamz" in 2004 and "Gold Digger" in 2005 respectively. After becoming West's first number one single in the UK, "Stronger" went on to be met by widespread international success, reaching number-one in Canada and New Zealand. The song debuted at number three in the United Kingdom and rose to become West's very first British number one single. Climbing on downloads alone, it surpassed the prior week's number one single, Robyn's "With Every Heartbeat". "Stronger" also spent 18 weeks on the German Singles Chart and peaked at number 17. The song ended 2007 as the 19th biggest-selling single in the United Kingdom of that year. As of March 2013, the single has sold five million copies in the US and was certified octuple Platinum on April 19, 2018 by the RIAA. The track was well received by music critics. Ann Powers of the Los Angeles Times praised West's performance: "On 'Stronger,' he pushes himself like a runner on a treadmill, always on the verge of losing his breath." Although Louis Pattison of NME criticized what he viewed as "brazen theft" from Daft Punk, he called the song "a silicone-hearted vocoder serenade, beefed up with hoover-like synthesisers." Anna Pickard of The Guardian praised it for the Daft Punk sample, viewing the track as opening with "the immediate familiarity of a Daft Punk sample" and the sample as "working well over this thumping beat". Critics later noted that West appears to recall a section of the song's refrain — "I need you right now" — in his song "On Sight" from Yeezus (2013). The song's music video was shot in Tokyo, Japan. The Stronger music video was directed and produced by Hype Williams, with director of photography John Perez, editor Peter Johnson, executive producer Susan Linss and post supervisor Amelia Torabi. Post production and visual effects were done at RhinoFX by VFX Supervisor Vico Sharabani. The video explores life in a sleek space-age robot world set in Japan, and was filmed guerrilla-style over nine days in Tokyo in April 2007, featuring shots in Aoyama clothing store A Bathing Ape and Harajuku clothing store Billionaire Boys Club/Ice Cream. The video features appearances by a real-life Japanese motorcycle gang, model Cassie Ventura, and the two principal actors from the film Daft Punk's Electroma dressed as Daft Punk. The video also features multiple scenes which pay homage to the 1988 anime film Akira. These include the light effects on the motorbikes, the hospital scenes and West being scanned by machines. West approached Island/Def Jam chairman Antonio "L.A." Reid with only a general concept for the video, with no storyboard, asking for $1.2 million to fund four videos. The treatment was simply "Kanye and Hype in Japan." West, a fan of Japanese directors and anime, had desired to shoot in Japan to give the video a futuristic look, in line with the creative design of Graduation as a whole. In the clip's original storyline, West plays the part of a man in a motorcycle gang, who gets into a bar fight with Japanese rivals. Both West and Williams had originally planned to integrate scenes from the film into the video. West and his entourage got no permits to film, simply having interpreters explain the situation to locals. The clip features shots of a real-life riot of a Japanese politician; it took place directly outside of Williams' hotel, and West encouraged the director to go out and film it. West was not satisfied when going over the footage back in the United States, and he spent ten weeks in expensive editing suites editing the video. He decided to abandon the storyline and choose a video with "the hottest shots possible," going to New York for additional filming at the Jacob K. Javits Convention Center. Williams was unable to film additional footage, with the video already extensively over-budget, so West hired a local team. The video's most famous shots were filmed in New York, and feature West waring a pair of Alain Mikli shutter shades, which he requested from the designer specifically for the video. Dissatisfied with the photography of said shots, West distorted the footage to resemble what it might look like as if it were broadcast over a cathode ray tube television set. Further pickup shots were filmed in Los Angeles, including segments featuring Daft Punk, who were coincidentally in L.A. at the time and attended the video shoot. Kanye almost had a brain aneurysm, editing this video for three months. Literally, 10 weeks of editing going back in. Then he still was not satisfied, so he shot more footage in New York. [...] Kanye put everything else on halt. He was in the editing suite till 4 or 5 in the morning. He went way over budget editing, sitting in them expensive editing suites. He kept going — and not only kept going, but he wanted to shoot more footage. Rhinofx VFX Supervisor Vico Sharabani said that the process of this project was totally unconventional. A rough cut of the video first premiered at the Tribeca Studios in New York City on June 19, 2007, with West editing the clip until the last minute. The JabbaWockeeZ performed to this song in the first season finale of America's Best Dance Crew as their victory performance for being crowned champions. Thirty Seconds to Mars performed a cover version of "Stronger" on BBC Radio 1, which is featured on Radio 1's Live Lounge – Volume 2 and a UK release of the single "From Yesterday". The cover features a slower tempo on guitar and omits the profanity, which was reworded by their lead singer Jared Leto. Leto said that he "hoped that Kanye [was] okay" with the editing. The song can be heard for the promo of the 2007 film The Kingdom. It can also be heard as the introductory song of the Baltimore Orioles, Toronto Raptors, New York Mets, Texas Longhorns, Washington Wizards, Cincinnati Reds and Tampa Bay Rays. The New York Giants entered the field to this song at Super Bowl XLII and during most of their home games during the season. The New York Rangers and Chicago Blackhawks play it at every home game as well. The song won the Grammy Award for Best Rap Solo Performance for the 50th Grammy Awards and is also featured in Season 4 Episode 4 of Entourage as background music in a night club. The A-Trak remix of the song is used in an advert for the short-lived American TV show Bionic Woman. This song is also used by Animal Planet to promote their new show Jockeys, appearing in commercials as well as being the series' opening theme. UK rapper Kano has freestyled over this song on his mixtape MC No.1. The song also appeared on the trailer for the videogame Top Spin 4. In 2008 "Stronger" was featured in the movie Never Back Down, when the main character, Jake Tyler, enters the "Beatdown" tournament. Stronger is featured in (and is on the soundtrack for) for the 2011 film The Hangover Part II. That same year, West performed the song live at the Victoria's Secret Fashion Show, starting the introduction with a tribute to his mother who had died before his scheduled performance four years before, saying: "In 2007, I was supposed to perform this song on this show… and I lost my superhero – now she's my super-angel." In 2013, on the HBO show Girls, Allison Williams's character performed the song at a slower tempo. "Stronger" was also used as a track that can be selected on the Hollywood Rip Ride Rockit at Universal Studios Florida. "Stronger was used in a gameplay TV spot for the 2016 video game Watch Dogs 2. The song was used in a Nescafé trailer for the Dolce Gusto Drop. Considered one of West's most radio-friendly songs, "Stronger" has been accredited to not only encouraging other hip-hop artists to incorporate house and electronica elements into their music, but also for playing a part in the revival of disco and electro-infused music in the late 2000s. The song also brought Daft Punk to prominence in the United States; Rolling Stone credited it with "the beginning of the group's path to mainstream success." The song has been looked at as a turning point in how the talents of West were viewed in his career and it brought him more commercial success. "Stronger" has been ranked as the third most popular workout song of all time on Spotify. The song was placed on multiple best songs of the year lists. "Stronger" was named the song of the year for 2007 in the January 2008 issue of Spin. West was featured along with Daft Punk on the front cover of the music magazine, with Daft Punk being named Entertainers of the Year by Spin as a result of the song and the duo's 2007 Tour. The single was number 11 on Rolling Stone's list of the 100 Best Songs of 2007. The Village Voice ranked "Stronger" at number seven on their annual year-end critics' poll Pazz & Jop to find the best music of 2007. Thought Catalog listed the song as the eleventh best Pop song of 2007. Consequence of Sound named it the seventieth best song of 2007. Furthermore, a 2013 Rolling Stone reader's poll ranked "Stronger" as West's eighth best song to that point. ^ "Kanye West: Cant Tell Me Nothing – The Official Mixtape". DatPiff. May 29, 2007. Archived from the original on December 31, 2016. Retrieved September 19, 2007. ^ Boucher, Geoff (September 23, 2007). "Ready For Launch". Los Angeles Times. Los Angeles Times. Archived from the original on July 14, 2010. Retrieved September 23, 2007. ^ a b c d Cohen, Jonathan (August 14, 2007). "Exclusive: Live Album To Chronicle Daft Punk Tour". Billboard. Nielsen Business Media, Inc. Archived from the original on August 21, 2015. Retrieved August 27, 2007. ^ a b Pytlik, Mark (October 2, 2007). "Interview: Daft Punk". Pitchfork Media. Pitchfork Media Inc. Archived from the original on May 6, 2012. Retrieved October 3, 2007. ^ a b c d Reid, Shaheem (June 20, 2007). "Kanye West's 'Stronger' Video: Japanese Motorcycle Gangs, Mad Scientists — And Cassie". MTV. Viacom. Archived from the original on May 6, 2012. Retrieved August 27, 2007. ^ a b c d e f g h i j Paul Tingen (December 2008). "Secrets Of The Mix Engineers: Manny Marroquin". Sound on Sound. SOS Publications Group. Archived from the original on September 4, 2011. Retrieved October 2, 2014. ^ a b c Luke, Bainbridge (August 11, 2007). "It's Kanye's World". The Guardian. Guardian News and Media Limited. Archived from the original on October 5, 2013. Retrieved March 12, 2008. ^ Paul Tingen (December 2007). "Secrets Of The Mix Engineers: Manny Marroquin". Sound on Sound. SOS Publications Group. Archived from the original on September 4, 2011. Retrieved July 20, 2010. ^ Vozick-Levinson, Simon (September 20, 2007). "Jay-Z's Brotherly Love". Entertainment Weekly. Entertainment Weekly Inc. Archived from the original on October 12, 2007. Retrieved September 22, 2007. ^ a b Kathwadia, Rajveer (August 15, 2007). "Online Review: Kanye West – Graduation". RWD Magazine. RWD Magazine. Archived from the original on August 21, 2007. Retrieved August 15, 2007. ^ Reid, Shaheem (August 21, 2007). "Kanye West Thanks 50 Cent for Much-Hyped Rivalry: 'We Push Each Other'". MTV. Viacom. Archived from the original on February 22, 2012. Retrieved February 6, 2013. ^ "Glastonbury 2015: Kanye West's ten best songs". Archived from the original on June 14, 2018. Retrieved April 5, 2018. ^ "How Electronic Music Turned Kanye West into a Superhuman". Thump. Archived from the original on October 8, 2016. Retrieved September 8, 2016. ^ a b West, Kanye (2011). "Kanye West "Stronger" Sheet Music". MusicNotes.com. Universal Music Publishing Group. Archived from the original on May 8, 2012. Retrieved June 10, 2008. ^ a b Greg Kot (August 31, 2007). 'Graduation' day arrives: Kanye West exploits his growing pains Archived May 14, 2009, at the Wayback Machine. Chicago Tribune. Accessed 2007-10-01. ^ ""Stronger" Kanye West 2007". Rolling Stone. Jann Wenner. 2013. Archived from the original on March 15, 2013. Retrieved March 20, 2013. ^ a b Park, Adam (January 7, 2007). "Kanye West "God Just Brings Collaborations Together"". Clash. Clashmusic.com. Archived from the original on January 18, 2009. Retrieved April 13, 2008. ^ Rizov, Vadim (November 1, 2007). ""Indie 500": Kanye West, Swizz Beatz, Joy Division and Pale Young Gentlemen". Slant Magazine. Slant Magazine. Archived from the original on October 4, 2013. Retrieved April 6, 2013. ^ Greene, Jayson (September 10, 2007). "Kanye West Graduation – Music Review". Stylus Magazine. stylusmagazine.com. Archived from the original on June 1, 2016. Retrieved September 10, 2007. ^ a b c Powers, Ann. Hip-hop's Man of Two Minds Archived October 17, 2012, at the Wayback Machine. Los Angeles Times. Retrieved on October 6, 2009. ^ Swhear, Alex (September 11, 2017). "How The Showdown Between Kanye's 'Graduation' And 50 Cent's 'Curtis' Changed Hip-Hop Forever". Uproxx. Uproxx Media Group, Inc. Archived from the original on September 18, 2017. Retrieved September 18, 2017. ^ Betz, Chet (September 15, 2007). "Kanye West: Graduation". CokemachineGlow. Cokemachineglow.com. Retrieved September 23, 2015. ^ Breihan, Tom (September 4, 2007). "Figuring Out Kanye West's Graduation". The Village Voice. Village Voice, LLC. Retrieved September 13, 2007. ^ "Concert For Diana Raises £1.2m For Charity". Concert for Diana. Prince's Charities Events Limited. July 2, 2007. Archived from the original on January 3, 2007. Retrieved July 2, 2007. ^ "Daft Punk Make Surprise Grammy Appearance With Kanye West". NME. IPC Media. February 11, 2008. Archived from the original on January 3, 2010. Retrieved February 10, 2008. ^ Blurt, "Encounters of the Daft Kind" Archived July 18, 2011, at the Wayback Machine (September 2008) pgs. 28-29. Retrieved July 26, 2009. ^ Rose Lilah (April 20, 2011). "Kanye West Throws Subliminal Shots at Amber Rose". HotNewHipHop. Archived from the original on April 1, 2019. Retrieved January 3, 2019. ^ Steven Horowitz (May 2, 2011). "Wiz Khalifa Dispels Rumors Of Kanye West Coachella Confrontation". HipHopDX. Archived from the original on April 1, 2019. Retrieved January 3, 2019. ^ a b c Eriq Gardner (November 23, 2011). "Kanye West Cites Nietzsche in Copyright Battle Over 'Stronger'". Billboard. Archived from the original on November 4, 2014. Retrieved October 2, 2014. ^ a b Eriq Gardner (August 21, 2012). "Hollywood Docket: Kanye West Is 'Stronger' in Appeals Court Win". The Hollywood Reporter. Archived from the original on October 4, 2014. Retrieved October 2, 2014. ^ "Top 100 Songs | Billboard Hot 100 Chart - August 11, 2007". Billboard. Archived from the original on January 5, 2019. Retrieved January 5, 2019. ^ "Top 100 Songs | Billboard Hot 100 Chart - September 29, 2007". Billboard. Archived from the original on January 5, 2019. Retrieved January 5, 2019. ^ "Top 100 Songs | Billboard Hot 100 Chart - October 6, 2007". Billboard. Archived from the original on January 5, 2019. Retrieved January 5, 2019. ^ "Kanye West Stronger Chart History". Billboard. Archived from the original on January 5, 2019. Retrieved January 5, 2019. ^ a b "Kanye West Chart History (Hot 100)". Billboard. Retrieved December 26, 2014. ^ a b "Kanye West | full Official Chart History". Official Charts Company. Archived from the original on November 25, 2018. Retrieved January 5, 2019. ^ a b "Kanye West Chart History (Canadian Hot 100)". Billboard. Retrieved October 18, 2013. ^ a b "Charts.nz – Kanye West – Stronger". Top 40 Singles. Retrieved October 18, 2013. ^ "Official Singles Chart Top 100". Official Charts Company. Archived from the original on January 5, 2019. Retrieved January 5, 2019. ^ a b c "Official Singles Chart Top 100". Official Charts Company. Retrieved December 26, 2014. ^ a b "Offiziellecharts.de – Kanye West – Stronger". GfK Entertainment Charts. Retrieved January 2, 2019. ^ a b "Top 40 Singles of the Year 2007". BBC. MMIX. Archived from the original on January 2, 2008. Retrieved December 30, 2007. ^ a b Grein, Paul (March 13, 2013). "Week Ending March 10, 2013. Songs: The Record-Setter That Isn't #1". Nielsen SoundScan. Yahoo! Music. Archived from the original on March 15, 2013. Retrieved March 14, 2013. ^ "Gold & Platinum - Kanye West - Stronger". Billboard. Retrieved January 5, 2019. ^ Louis Pattison (September 13, 2007). "Kanye West - 'Graduation' Review". NME. Archived from the original on October 20, 2007. Retrieved October 2, 2014. ^ Anna Pickard (July 25, 2007). "Kanye West - Stronger | Music". The Guardian. Archived from the original on January 3, 2019. Retrieved January 3, 2019. ^ Evan Rytlewski (June 17, 2014). "Review: Kanye West: Yeezus". The A.V. Club. The Onion. Archived from the original on December 4, 2013. Retrieved October 2, 2014. ^ a b c d Duncan Macleod (August 20, 2007). "Kanye West Stronger In Japan". Archived from the original on October 19, 2017. Retrieved February 10, 2019. ^ a b Reid, Shaheem (June 20, 2007). "Kanye West's 'Stronger' Video: Japanese Motorcycle Gangs, Mad Scientists — And Cassie". MTV. MTV Networks. Retrieved August 27, 2007. ^ a b "Kanye West Music Video Inspired by Akira". Anime News Network. Anime News Network. July 7, 2007. Archived from the original on September 8, 2007. Retrieved August 27, 2007. ^ a b c d e f g h i Reid, Shaheem (September 5, 2007). "Kanye Added Perfectionist Touch — And Venetian-Blind Glasses — To 'Stronger' Video: VMA Lens Recap". MTV. MTV Networks. Archived from the original on October 7, 2014. Retrieved October 2, 2014. ^ "The Scoop on Kanye West's Sunglasses". People. Time Inc. June 5, 2007. Retrieved October 10, 2007. ^ "BBC – Programmes – A to Z, Galleries". BBC. Archived from the original on August 16, 2017. Retrieved June 19, 2017. ^ "Ubisoft Watch Dogs 2 – Game Play". Adbreak Anthems. December 6, 2016. Archived from the original on February 1, 2017. Retrieved April 7, 2019. ^ "Nescafe – Dolce Gusto Drop". Adbreak Anthems. November 15, 2015. Archived from the original on December 11, 2015. Retrieved April 7, 2019. ^ a b c "Readers' Poll: The Ten Best Kanye West Songs". Rolling Stone. Jann Wenner. June 26, 2013. Archived from the original on October 10, 2014. Retrieved October 2, 2014. ^ Frere-Jones, Sasha (March 30, 2009). "Dance Revolution". The New Yorker. Condé Nast Digital. Archived from the original on July 8, 2014. Retrieved April 16, 2009. ^ Luke Morgan Britton (August 1, 2017). "'Stronger' at 10 – how the Daft Punk-sampling track was the turning point in Kanye West's career". NME. NME Blogs. Archived from the original on January 3, 2019. Retrieved January 3, 2019. ^ Harry Fletcher (June 1, 2018). "Top 10 Kanye West songs ever – we rank Ye's hottest tracks in order". Evening Standard. London Evening Standard. Archived from the original on January 3, 2019. Retrieved January 3, 2019. ^ Shelby Reitman (January 3, 2019). "Eminem & Kanye West Have the Most Popular Workout Songs of All Time on Spotify". Billboard. Billboard Hip-Hop. Archived from the original on January 4, 2019. Retrieved January 5, 2019. ^ a b Kreps, Daniel (May 14, 2013). "January 2008: Daft Punk and Kanye Share the Cover of SPIN's 2007 Year-End Issue - Kanye Daft - 13". Spin. Retrieved April 22, 2019. ^ "The 100 Best Songs of 2007". Rolling Stone. RealNetworks, Inc. December 11, 2007. Archived from the original on December 20, 2007. Retrieved December 21, 2007. ^ "The 2007 Pazz & Jop Critics Poll". The Village Voice. February 6, 2007. Archived from the original on February 1, 2008. Retrieved February 13, 2013. ^ Lamb, Bill. "Top 100 Pop Songs 2007". ThougthCo. Archived from the original on October 14, 2017. Retrieved November 27, 2017. ^ "Top 50 Songs of 2007". Consequence of Sound. Archived from the original on December 1, 2017. Retrieved November 27, 2017. ^ "2007 Hip Hop Awards Winners". BET. April 25, 2016. Archived from the original on December 12, 2017. Retrieved December 12, 2017. ^ "2007 EMA Nominations Out". MTV. September 24, 2007. Archived from the original on April 6, 2017. Retrieved December 15, 2017. ^ "2007 MTV VMA Nominees: Full List". Stereo Gum. August 7, 2007. Archived from the original on March 10, 2016. Retrieved December 16, 2017. ^ "ASCAP Pop Awards 2008 - Most Performed Songs". ASCAP. April 1, 2008. Archived from the original on March 4, 2016. Retrieved December 11, 2017. ^ "2008 BMI London Awards Winning Songs". BMI. Archived from the original on March 27, 2017. Retrieved December 14, 2017. ^ "2009 BMI Pop Awards Award Winning Songs". BMI. May 20, 2009. Archived from the original on August 20, 2017. Retrieved December 14, 2017. ^ "BMI Honors The Jacksons, T-Pain and Many More at Urban Awards in Los Angeles". BMI. September 5, 2008. Archived from the original on July 16, 2017. Retrieved December 14, 2017. ^ "50th Annual Grammy Awards Winners List". Grammy. The Recording Academy. Archived from the original on February 23, 2008. Retrieved February 23, 2008. ^ "2008 International Dance Music Awards". Winter Music Conference. Archived from the original on August 20, 2017. Retrieved December 15, 2017. ^ "Mobo Awards 2007: Winners in full". BBC. September 19, 2007. Archived from the original on February 22, 2017. Retrieved December 15, 2017. ^ "Video Music Awards Japan 2008". MTV Asia. Archived from the original on March 5, 2016. Retrieved December 16, 2017. ^ "MMVA 08 Nominees". MuchMusic. Archived from the original on March 13, 2012. Retrieved December 17, 2017. ^ "2008 NAACP Image Awards Winners". NAACP. February 14, 2008. Archived from the original on April 13, 2017. Retrieved December 17, 2017. ^ "Nominees & Winners for the 34th Annual People's Choice Awards". Seeing Stars. January 8, 2008. Archived from the original on September 19, 2015. Retrieved December 17, 2017. ^ "Australian-charts.com – Kanye West – Stronger". ARIA Top 50 Singles. Retrieved October 18, 2013. ^ "Austriancharts.at – Kanye West – Stronger" (in German). Ö3 Austria Top 40. Retrieved October 18, 2013. ^ "Ultratop.be – Kanye West – Stronger" (in Dutch). Ultratip. Retrieved December 27, 2014. ^ "Ultratop.be – Kanye West – Stronger" (in French). Ultratip. Retrieved December 27, 2014. ^ "ČNS IFPI" (in Czech). Hitparáda – Radio Top 100 Oficiální. IFPI Czech Republic. Note: Change the chart to CZ – RADIO – TOP 100 and insert 200745 into search. Retrieved September 4, 2018. ^ "Danishcharts.com – Kanye West – Stronger". Tracklisten. Retrieved October 18, 2013. ^ "Europe Official Top 100 - 19 January 2008". Top40-Charts.com. Archived from the original on 28 September 2018. Retrieved 7 February 2019. ^ "Kanye West: Stronger" (in Finnish). Musiikkituottajat – IFPI Finland. Retrieved October 18, 2013. ^ "Lescharts.com – Kanye West – Stronger" (in French). Les classement single. Retrieved October 18, 2013. ^ "Chart Track: Week 33, 2007". Irish Singles Chart. Retrieved October 18, 2013. ^ "Dutchcharts.nl – Kanye West – Stronger" (in Dutch). Single Top 100. Retrieved October 18, 2013. ^ "Kanye West – Stronger" (in Dutch). Dutch Top 40. Archived from the original on December 27, 2014. Retrieved December 27, 2014. ^ "Norwegiancharts.com – Kanye West – Stronger". VG-lista. Retrieved October 18, 2013. ^ "Official Scottish Singles Sales Chart Top 100". Official Charts Company. Retrieved June 29, 2015. ^ "Swedishcharts.com – Kanye West – Stronger". Singles Top 100. Retrieved October 18, 2013. ^ "Swisscharts.com – Kanye West – Stronger". Swiss Singles Chart. Retrieved October 18, 2013. ^ "Kanye West Chart History (Dance Mix/Show Airplay)". Billboard. Retrieved December 26, 2014. ^ "Kanye West Chart History (Hot R&B/Hip-Hop Songs)". Billboard. Retrieved December 26, 2014. ^ "Kanye West Chart History (Hot Rap Songs)". Billboard. Retrieved December 26, 2014. ^ "Kanye West – Awards (Billboard Singles)". AllMusic. Rovi Corporation. Archived from the original on July 9, 2012. Retrieved December 18, 2012. ^ "Kanye West Chart History (Rhythmic)". Billboard. Retrieved December 26, 2014. ^ "ARIA Charts - End Of Year Charts - Top 100 Singles 2007". ARIA. Archived from the original on July 31, 2010. Retrieved October 24, 2015. ^ "IRMA - Best of Singles 2007". IRMA. Archived from the original on April 14, 2018. Retrieved October 24, 2015. ^ "End of Year Charts 2007". NZTop40. Archived from the original on May 11, 2015. Retrieved October 24, 2015. ^ "Billboard Hot 100 Year-End 2007". Billboard Magazine. Archived from the original on June 20, 2014. Retrieved March 31, 2012. ^ "Rhythmic Songs - 2007 Year End Charts". Billboard Magazine. Archived from the original on January 31, 2019. Retrieved January 30, 2019. ^ "Canadian Hot 100 Year-End 2008". Billboard Magazine. Archived from the original on May 23, 2013. Retrieved March 31, 2012. ^ "UK Singles Chart 2008" (PDF). ChartsPlus. Archived (PDF) from the original on July 3, 2012. Retrieved January 30, 2019. ^ "Billboard Hot 100 Decade-End 2000-2009". Archived from the original on June 23, 2018. Retrieved June 23, 2018. ^ "Best of All Time - Singles". Hung Medien. Archived from the original on April 12, 2019. Retrieved April 12, 2019. ^ "Gold-/Platin-Datenbank (Kanye West; 'Stronger')" (in German). Bundesverband Musikindustrie. Retrieved April 28, 2018. 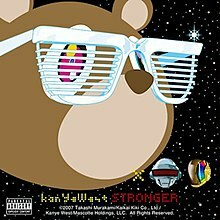 ^ "Italian single certifications – Kanye West – Stronger" (in Italian). Federazione Industria Musicale Italiana. Select "2017" in the "Anno" drop-down menu. Select "Stronger" in the "Filtra" field. Select "Singoli online" under "Sezione". ^ "New Zealand single certifications – Kanye West – Stronger". Recorded Music NZ. ^ "British single certifications – Kanye West – Stronger". British Phonographic Industry. Select singles in the Format field. Select Platinum in the Certification field. Type Stronger in the "Search BPI Awards" field and then press Enter. ^ a b "American single certifications – Kanye West – Stronger". Recording Industry Association of America. If necessary, click Advanced, then click Format, then select Single, then click SEARCH.